How many of us will have 10 years? Or rather how many couple can get thru their 10th year anniversary? I’ve just got thru mine and the 10th year anniversary was spending it quietly with my loved one. Looking back those years, what we had was bitter sweet, and also full of fond memories. Few years ago, I was thinking or rather planning giving him a surprise to Maldives, I believe he will remember that for life. Not that am buying that for him or what, is something that I try to full fill his dream to this beautiful heaven place. Unfortunately whatever had planned would have to give up due to his beloved passing. 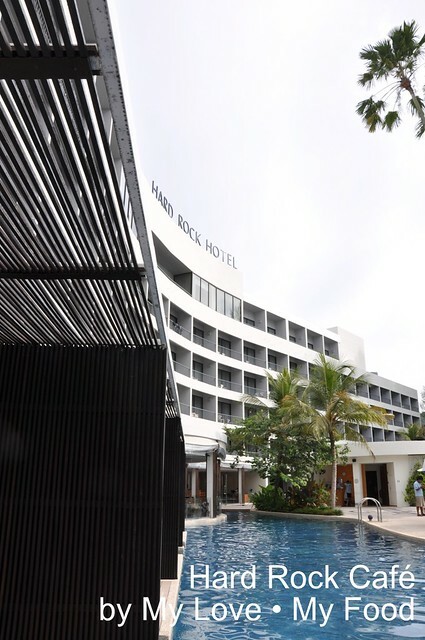 But, however, I lost the Maldives dream yet I gain a free night stay in the renowned hotel – Hard Rock Hotel, Penang. A room that is a lagoon next to your room, not a lagoon by nature but a lagoon man made. After all, I have nothing much to lose. 10 years of marriage is neither an easy to manage nor going thru. I truly salute those people that had gone thru the difficult time. Those days, many will say the itch year – the 7th year is the terrible year. But with so many temptations out there, you don’t really have to wait till the 7th year. Within the 10 years, there are many things happened, you could feel the love that he has been cherish for you, especially when you’re down with sickness, he basically took a day off to pamper you with his love and tender loving care. Over weekend, helped you to iron some clothes, which am sure many of us hate doing that; mopping the floor, and even cook simple dinner for you too. The vows that had made 10 years ago, for our marriage whether for better or for worse, for richer or for poorer; in sickness and in health; to have and to cherish, till death do us part is something that many of us should learn in our life. 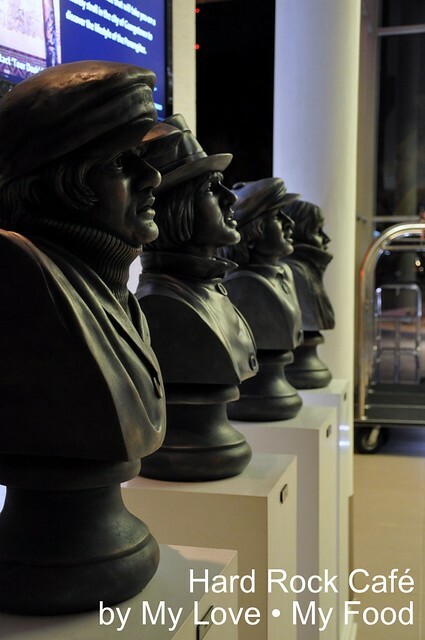 When I looked at the old man seeing his wife leaving him alone with 5 children… he was staring at the casket when those men taking it out from the parlour, it was something sadden. I guess that’s something that many of us will go thru one of these days. Thus, the anniversary that we spent together nothing spectacular, but we both honestly had it quietly. I bet nobody would believe it that we were actually watching Burlesque by Cher and Christina Aguilera. At least that’s one of the movies that he accompanied me to finish it, otherwise, you will either see him dozing off or on his laptop. 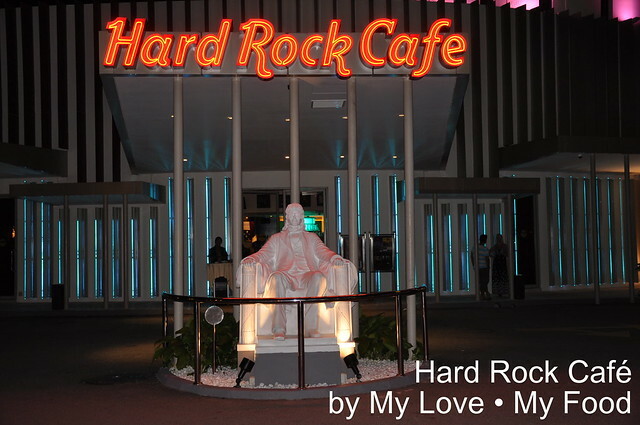 Hard Rock Café, the place for our meal. The meal that celebrated the 10th year anniversary, a rock place, yet having two of us which is not that rock in the café I do find it a bit awkward. I was told their pizza was absolutely rock, and that’s something that you shouldn’t missed. But I wasn’t that rock for the night, but took something real simple. Their rocking promotion for the month is their burger… mostly beef burger if you’re a beefy fan! I was told a burger plus a drink for the meal that’s the promotion for now. American food will never go wrong if you’re big eater. 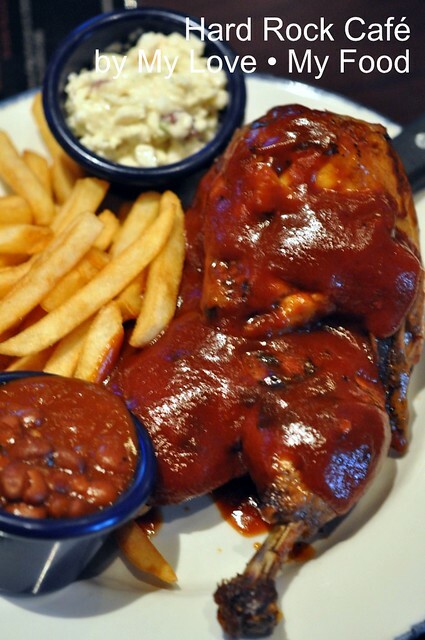 Half chicken that grilled in BBQ sauce and with lots of French fries is definitely a mutual combination for the rocking meal. The only disappointment is the sauce is too salty and sourish, it may not really suitable for Asians. Nevertheless, it was a good experience to rock and enjoy! Hickory-smoked lamb, hand-pulled, so it's tender and juicy. 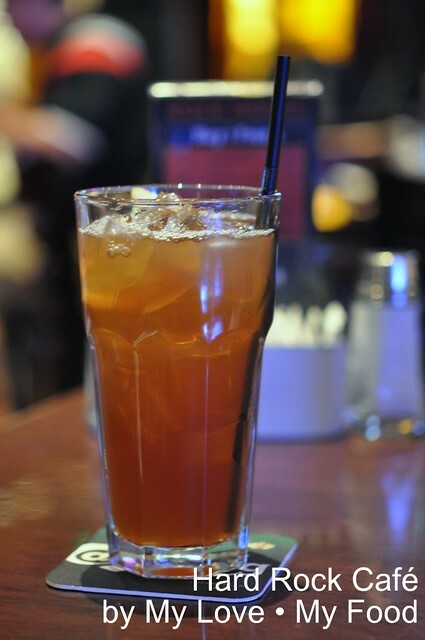 Served with our choice of Hard Rock Café authentic vinegar-based or Hickory Bar-B-Que sauces and topped with marinated slaw. Served with seasoned fries, ranch beans and fresh coleslaw. 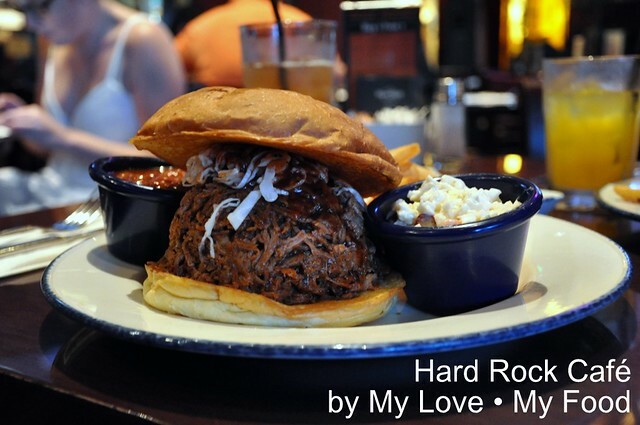 Hard Rock Café sandwiches are inspired by their Southern roots, the smoked pulled pork sandwich (non-halal, do not served in Penang outlet) remains many Hard Rock fans’ favorite. 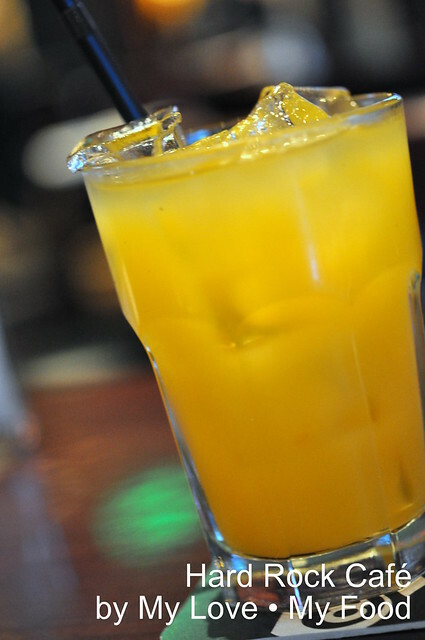 All sandwiches served with seasoned fries or substitute onion rings for an additional charge. Add a side Caesar or House salad for an additional fee. 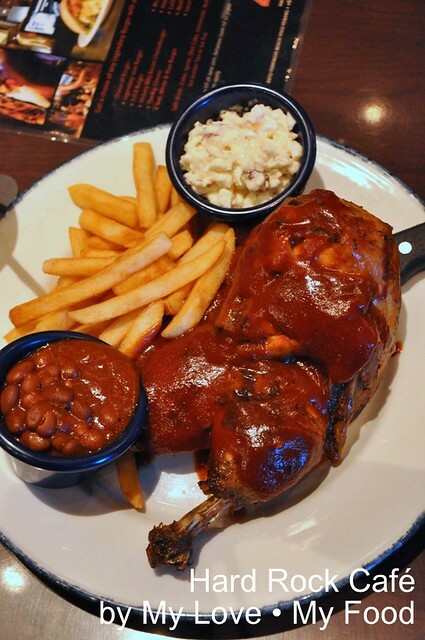 Hard Rock Café famous Southern-style half-chicken, rubbed, grilled and basted with their authentic Hickory Bar-B-Que sauce. 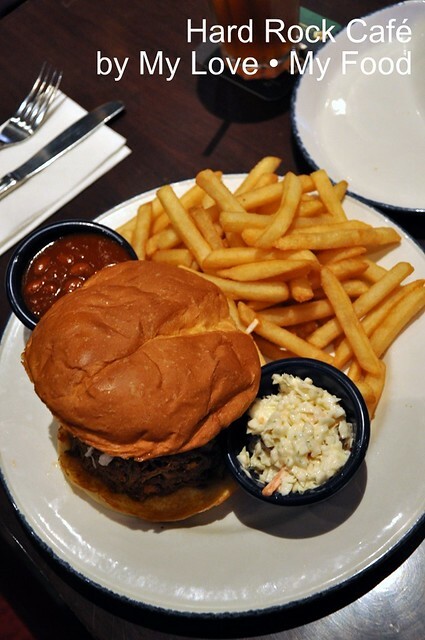 Served with seasoned fries, ranch beans and fresh coleslaw. Happy anniversary! I would think any celebration is fine as long as both of you enjoy spending time together. To answer your question, the airfryer does not need a drop of oil in the frying process. The medium is air rather than oil. It is not the deep fryer. Happy anniversary, finally see you post on dinning outside. 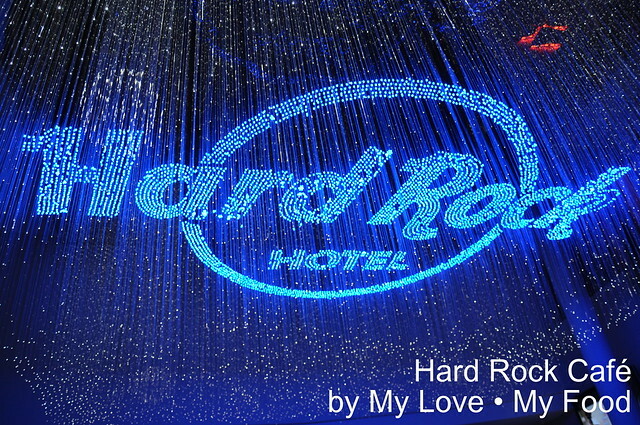 Hard Rock Cafe, beside the pricing of the food, the rest are all excellent. Hi Little Inbox, thank you thank you! Wow... this is something new to me... if it's using air, does it really same mechanism as microwave?? Happy Anniversary! Great minds think alike...was just there on Sunday. Will post our review soon. Hi Nikel Khor, ya lor! Hi aherbivoreinpenang, looking forward for your post. Hi Simple Girl, Thank you! !